After your Certificate has been issued and you have the Certificate file, which you can always download in your Namecheap account, you are welcome to install it to your Vesta Control Panel. 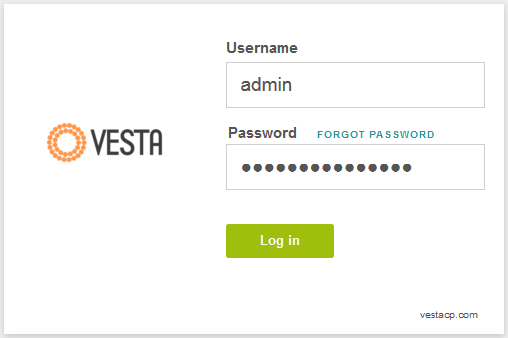 Log in to your Vesta CP. 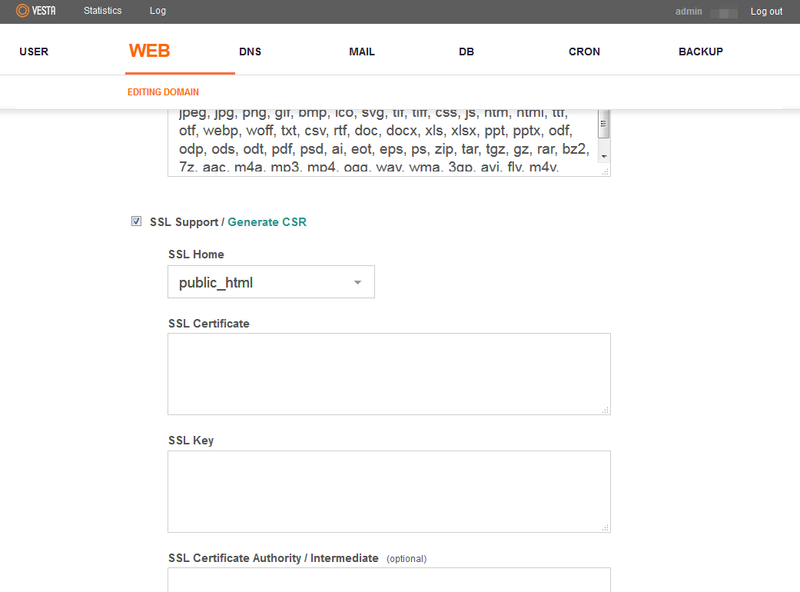 Go to “WEB” tab, hover over the domain the Certificate has been issued for and click on “Edit” button. On the next page locate “SSL Support” tab and check it. 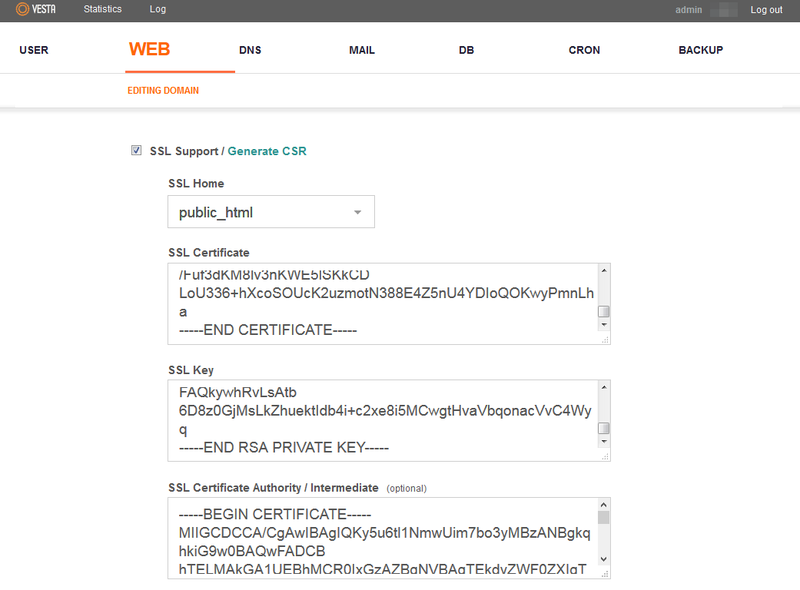 Now your Certificate, Private Key (which you saved after CSR generation) and CA Bundle files should be put into the corresponding fields. Once these three fields are filled, push “Save” button at the bottom of the page.